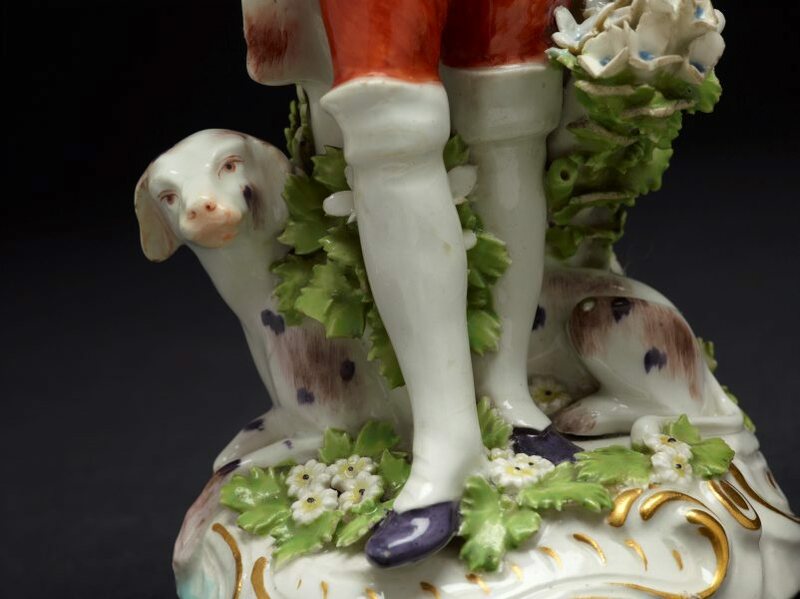 This figure and a lady with hunting dog (L2012.116) are said to be based on Chelsea prototypes. 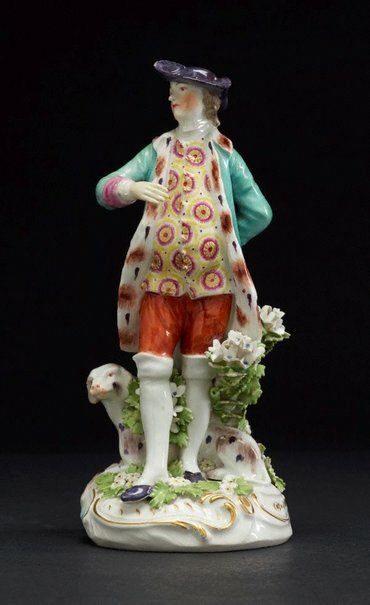 In other examples the man sometimes holds a sporting gun. 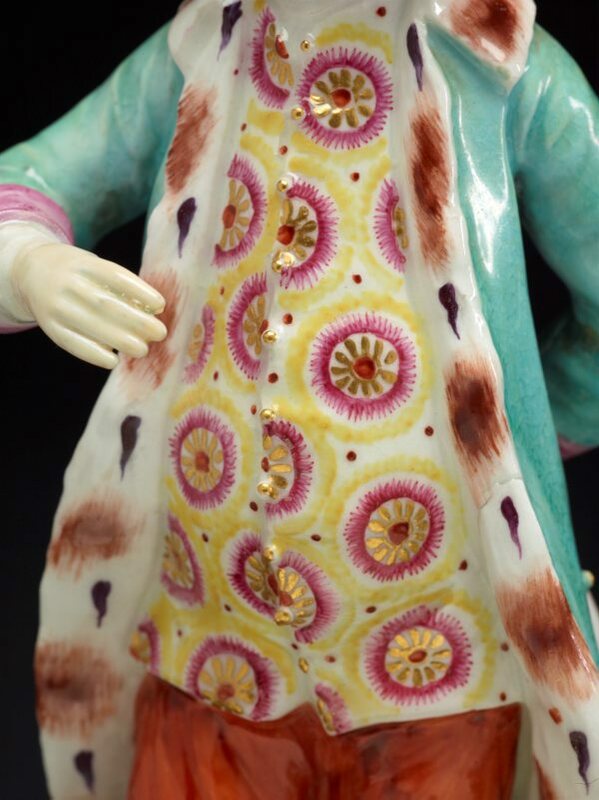 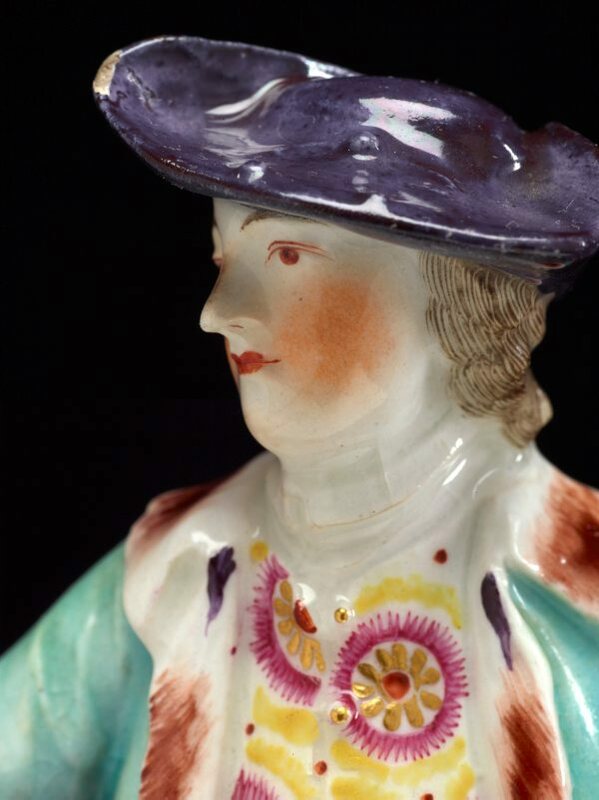 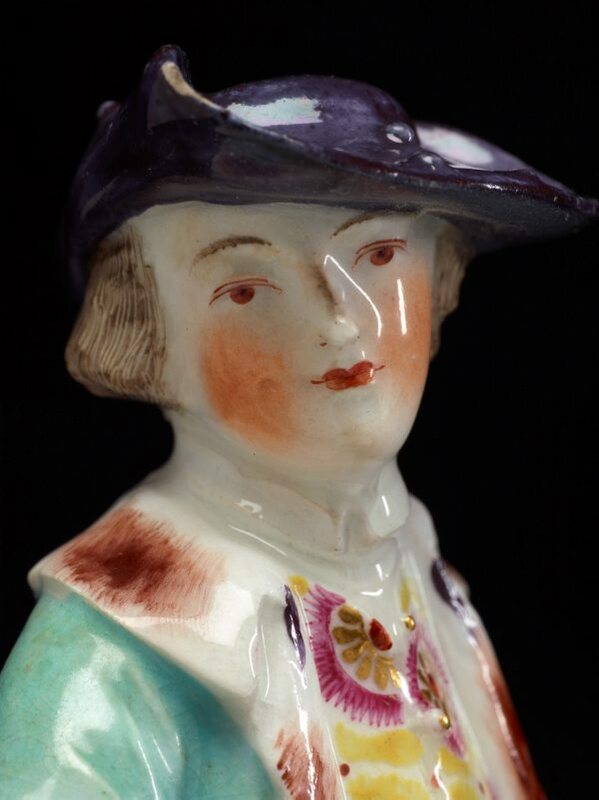 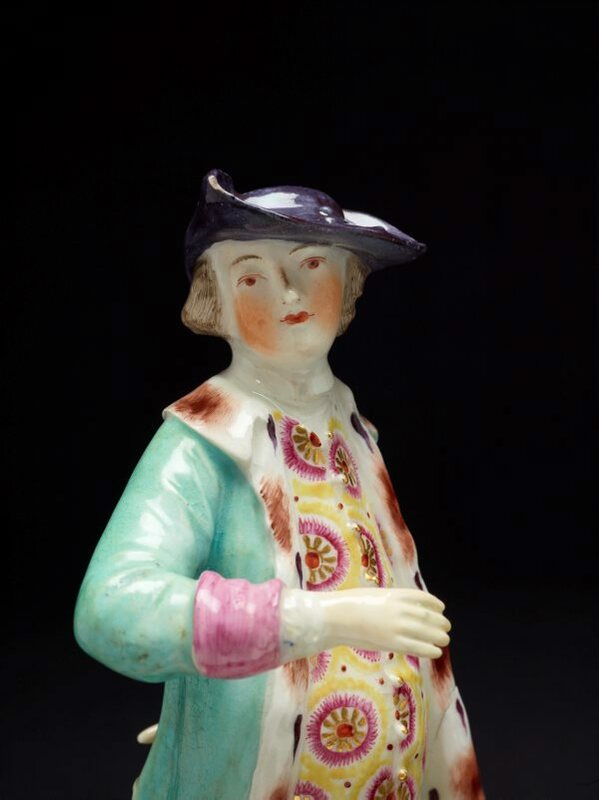 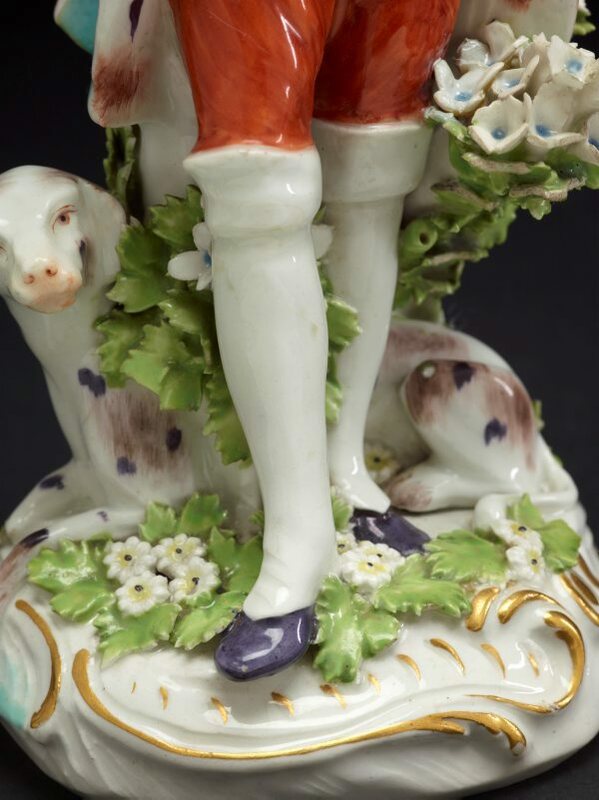 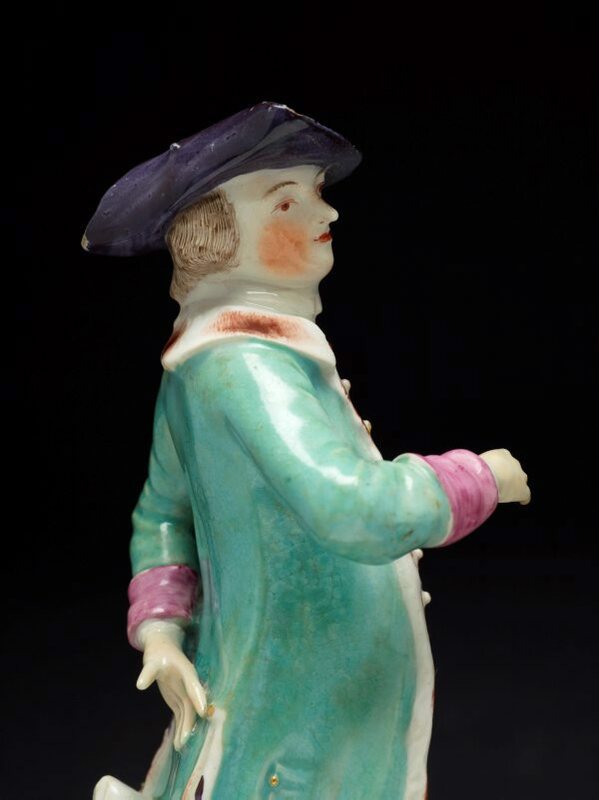 The bases each have three patch marks, as is characteristic of Derby figures during the 1760s.